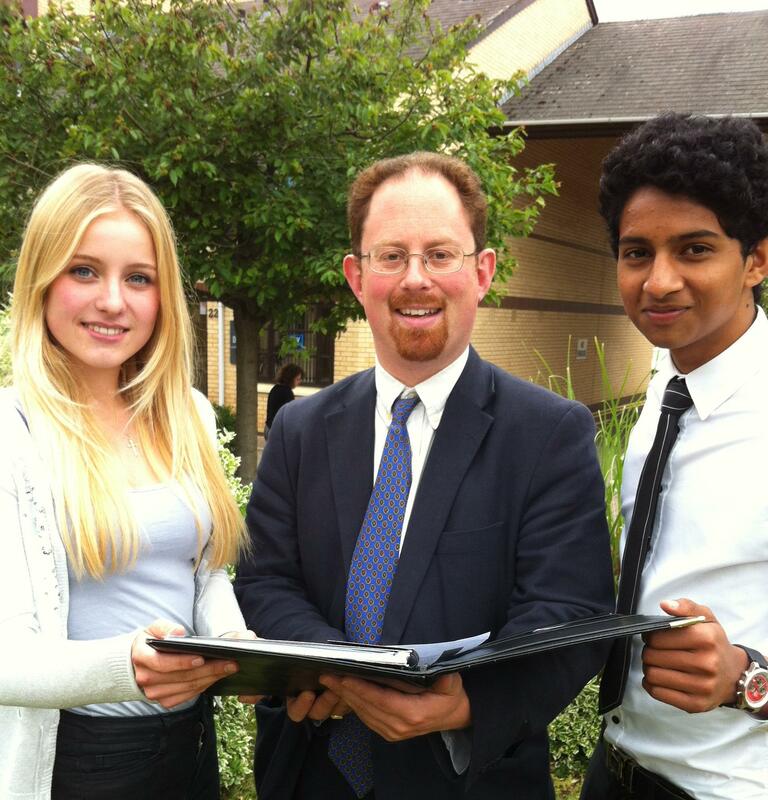 Cambridge sixth-form students have told the city’s MP Julian Huppert that the government’s A level exam reform will stifle creativity and increase stress. The students from Hill’s Road Sixth Form College called on Julian to support their fight against the planned changes which they describe as “a shambles”. Seventeen-year-olds Catherine Spencer and Thevindu Edirisinghe from the college’s School Council, who have just sat their AS level exams, asked Julian to take a letter outlining their concerns to Education Minister, Michael Gove. The college’s NUS officer, Catherine said: “This new approach to A levels will stifle creativity for those kids with creative minds, and those with learning difficulties will find it hard to sit one exam at the end of their two year courses. Julian said: “Catherine and Thevinov have first-hand experience of our present A level system and see its weaknesses but they also recognise its strengths. They and other sixth form students are in a good position to make this government think again. “I am very worried about these proposed changes. There is a huge leap from GCSE exams to A levels and some students might realise that a subject which they enjoyed at 16 might not be what they expected at A level. Under the present system they can give up the subject after AS level with a recognised qualification but under the new system they will have wasted a year of study with nothing to show for it. Recently, Julian joined Cambridge University students to deliver 1,600 signatures to the Department of Education urging Mr Gove to rethink his reforms.